Here are 18 stories, all about love, all kinds of love. From the aching for the one you pine for, to standing up and speaking up for the one you love, to pure joy and happiness, these love stories run the gamut of that emotion that at some point has turned every one of us inside out and upside down. What is love? With this original story collection, David Levithan proves that love is a many splendored thing, a varied, complicated, addictive, wonderful thing. This collection won't be for everyone. I admit I didn't like some of the stories at all, but there were others that I found I was able to relate to, go 'awww' at, or see the power and beauty of love at its best. 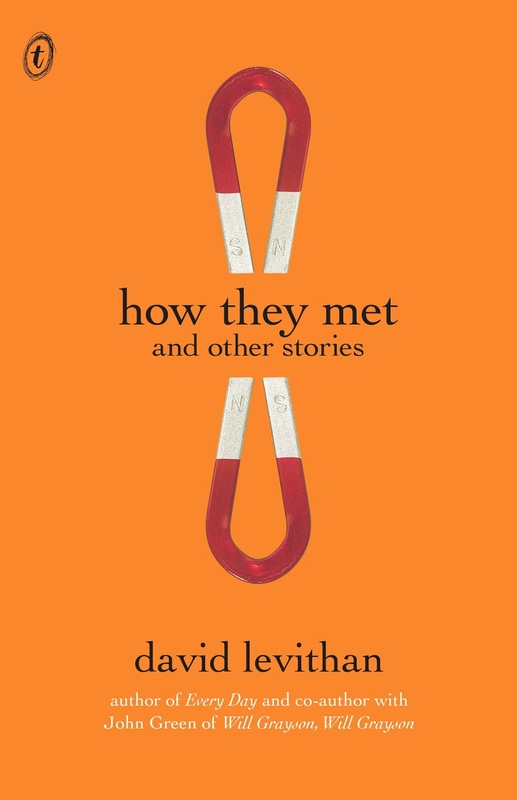 How They Met and Other Stories is a collection of short stories by one of my favourite writers David Levithan. The stories are about just what the title suggests. They cover the joy, heartache, excitement, pain, butterflies, surprise, emptiness and thrills of loving and losing, first love, coming out, secret liaisons, hope and turmoil of unrequited feelings. Featuring stories mostly set during the teenage years, they look at relationships between the gay and the straight that have begun through fate, coincidence, convenience, setups, trickery, common ground and/or instant attraction. My favourites stories would be Starbucks Boy, The Number of People Who Meet on Airplanes (Levithan fans, this is where the infamous lime-green couch makes an appearance), Princes and What a Song Can Do. This collection won't be for everyone. I admit I didn't like some of the stories at all, but there were others that I found I was able to relate to, go 'awww' at or see the power and beauty of love at its best. Ooh, I should read more short stories - I hadn't even heard of this collection til now! I'd totally pick this up.